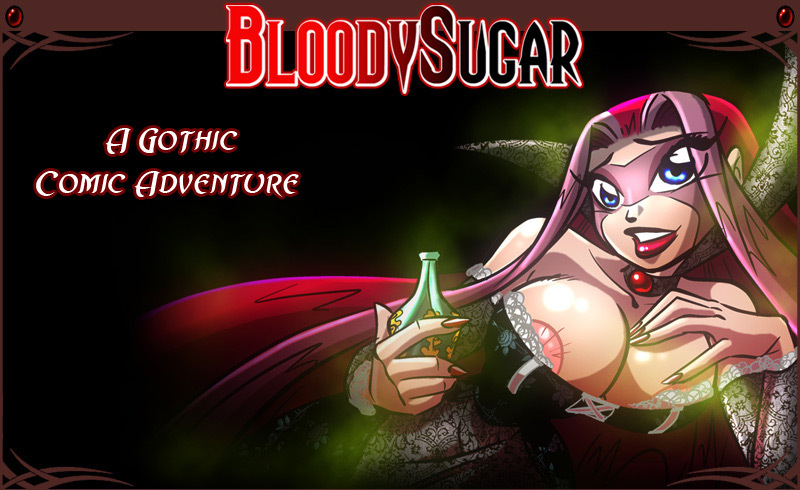 Bloody Sugar is an online comic with a dark theme in the style of Van Helsing. The setting is Eastern Europe at end of the 19th century, near the turn of the 20th century! We start our story in the year 1899. Our heroine is Bette (Elisabette Barkley), who is tracking down our villian, Bloody Sugar, the mysterious villian who is believed to possess magical abilities or possibly practicing witchcraft. This isn't another typical Buffy the Vampire Slayer story. Get ready for an interesting adventure. All of the adult strip games on BloodySugar.com was provided by EAdultGames.com, developers of the Vixine.com Texas Hold'em Strip Poker game.